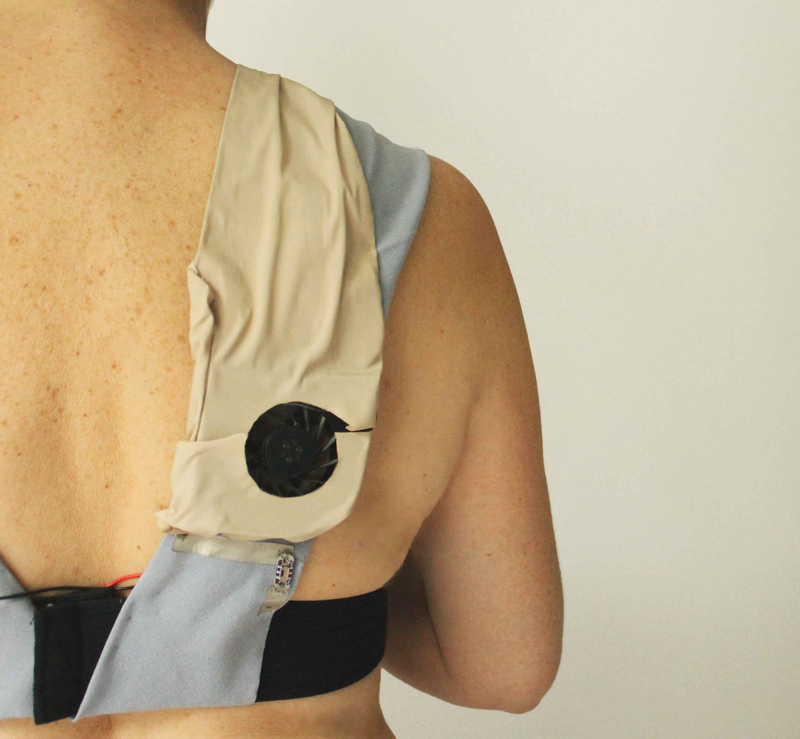 Aires is an underwear collection for menopausal women. Aires eases the experience of hot flushes, while keeping in mind the change they go through and the way they've been living their lives. Whenever a hotflush is experienced the cooling can be activated, which will ease the experience of a hotflush. At the point women reach the menopausal age, they generally have formed their personal identity. During the menopause the female body goes through a hormonal change, which causes hot flushes. Hot flushes affect menopausal women in many ways. They often need to keep in mind what to wear, where to go, what to eat and what to do. They experience a clash in identity; a clash between nature and nurture. By pressing on the side the cooling turns on. A ventilator at the back causes air movement.